Personal Development Archives | Stress Ebook LLC. Good Stress Engineer Qualities Part 4: Learn about Memory, Napkins and Squeaky Wheels. Yeah it sounds funny, but there is a method to my madness. Read more. 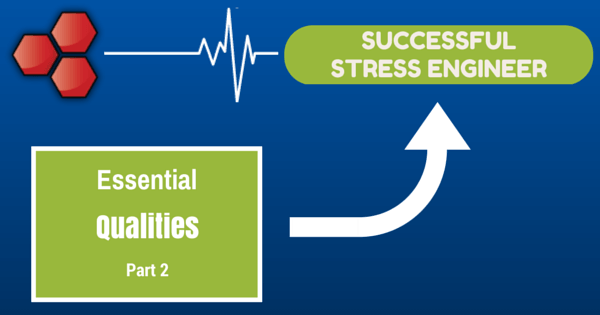 Good Stress Engineer Qualities Part 3: What qualities make a good stress engineer? Part 3 goes into three more qualities - Cross Functional, Open Minded and Humor.